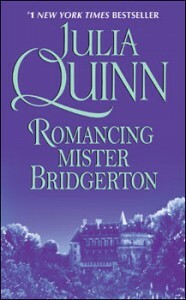 Out today: A new Bridgerton epilogue by Julia Quinn (The Bridgertons: Happily Ever After), and in observance, I’m sharing a poem I wrote about the series. Yeah, that’s right. Serious fangirl stuff, writing a poem. 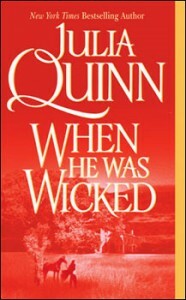 When He Was Wicked was one of the first romances-from-the-actual-romance-section that I read. I didn’t know many authors in the genre then, and often chose randomly, not even reading the back cover blurb. I do remember reading the dedication in WHWW (something like, “For Paul, even though he thought it should be called Love in the Time of Malaria.”)–it made me laugh, it made me buy the book. Several people have told me When He Was Wicked is their least favorite of the series, but I loved it. It both charmed and moved me, and the snippets of letters at the beginning of each chapter were a novelty that worked for me. Starting in the middle of the series, I was intrigued by the structure of the concurrent story lines and wanted to know more. 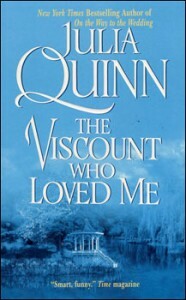 I rarely “glom” an author, but I did with all the previous Bridgerton books, plus Quinn’s early novels. out of his element and off from his norm. Never mind: together, they weather the storm. though the offer he makes she finds quite alarming. 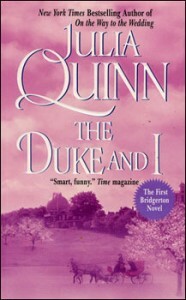 not until he unmasks her Blind Man’s Bluff. just My Cottage in the country (and a brief stint in jail). Penelope’s first crush she never got over. 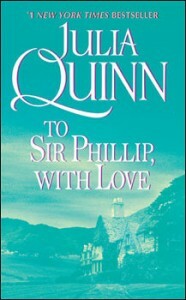 that he’d fall for the quiet girl missed by other chaps. The pudgy girl next door, in the citrus-colored gown? The one he swore not to marry? Quite a scoop for Whistledown! even a sham courtship’s tough with a lurking big brother. or off to the dueling field after a tryst in the hedge. then send in the Bridgerton girl to set them all straight. either written or spoken, which (let’s face it) can be rough on a guy. but when the time comes to say “I love you”—well, oughtn’t he? the girl and her brothers will make sure you court to the letter. from all except Michael, who thinks her forbidden. Malaria’s bad, but then there’s this other fever to carry. but who can resist a man who keeps your tea water hot? If it doesn’t take at first sight, you should give it a shove. Lucy is mystified: Must love befuddle, bemuse? Why can’t it be orderly, like a neat line of shoes? it gives aim to the aimless, summons the rebel within. ever taking the lead, in waltz or treasure hunt. Gareth chooses the former and is soon lost in translation. 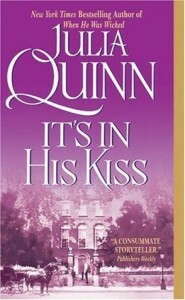 but hope of family and comfort is what’s in her kiss. Okay, it’s no tattooed quote, but it is some form of devotion! Gregory’s stanza is my favorite, I think. 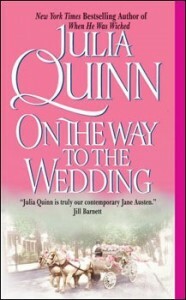 Come to Facebook if you want to find out what happened when I sent the poem to Julia Quinn. And I might just put it up on Pinterest, too, but give me a couple of days. Thanks for reading!